The University of Texas at Dallas's Dr. Murat Kantarcioglu is presenting the talk "SmartProvenance: A Distributed, Blockchain Based Data Provenance" on February 26th at 11am (Eastern). Please register here. Be sure to check spam/junk folder for registration confirmation email. Blockchain technology has evolved from being an immutable ledger of transactions for cryptocurrencies to a programmable interactive environment for building distributed reliable applications. Although the blockchain technology has been used to address various challenges, to our knowledge none of the previous work focused on using Blockchain to develop a secure and immutable scientific data provenance management framework that automatically verifies the provenance records using off-chain techniques. In this talk, we discuss how we leverage Blockchain as a platform to facilitate trustworthy data provenance collection, verification, and management. The developed system utilizes smart contracts and open provenance model (OPM) to record immutable data trails. We show that our proposed framework can securely capture and validate provenance data that prevents any malicious modification to the captured data as long as the majority of the participants are honest. 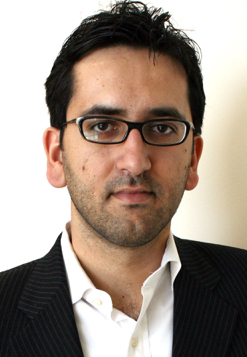 Dr. Kantarcioglu is a Professor in the Computer Science Department and Director of the Data Security and Privacy Lab at The University of Texas at Dallas (UTD). Dr. Kantarcioglu’s research focuses on the integration of cyber security and data science.Presentations are recorded and include time for questions with the audience. Join CTSC's announcements mailing list for information about upcoming events. To submit topics or requests to present, see our call for presentations. Archived presentations are available on our site under "Past Events."